Given the sudden increase in readership of this list, I'm going to take the shamelessly opportunistic route and post a summary of my most recent publication: "The capacity for religious experience is an evolutionary adaptation to warfare", in Fitzduff, M. & Stout, C. (eds) (2005) The Psychology of Resolving Global Conflicts: From War to Peace, vol. 1, ch. 10, pp. 257-284. This, like the recent upsurge in interest in polygamy, is a very hot topic. Terrorism is very much in the news, and since a lot of it seems to be at least peripherally associated with extreme religious views, the idea that these can be part of an evolutionary "arms race" seems very timely. I first gave a version of this paper at the 2004 annual conference of the New England Institute in Portland, Maine. It has since been published among the proceedings of that conference (the citation is: MacNeill, A. (2004) "The capacity for religious experience is an evolutionary adaptation to warfare" Evolution & Cognition, vol. 10, no. 1, pp. 43-60). 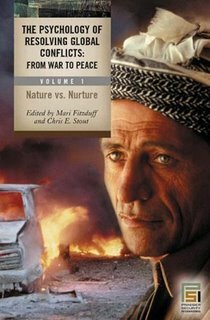 I was later contacted by Mari Fitzduff and Chris Stout for inclusion in their anthology on peace and war, which was published last December. The latter is a terrific collection, but a little pricey (I'm glad I got a free copy out of the deal). If readers are interested, I can email a pdf of the entire paper. It's pretty good, if I do say so myself. The criteria for deciding whether a characteristic qualifies as an evolutionary adaptation are discussed: differential survival and reproduction are considered the most appropriate criteria. The pan-specific qualities of both religious experience and warfare indicate that they are both evolutionary adaptations. There is considerable variation between individuals with respect to their capacity for religious experience and motivation to participate in warfare. Selective advantages for participation in warfare accrue to both winners and losers as long as the benefits of participation exceed the average costs. These selective advantages, primarily in the form of differential reproductive success, accrue to males when they are on the winning side in a war, and often to females no matter which side they are on. Recent work on the evolutionary dynamics of religion have converged on a "standard model" in which religions and the supernatural entities which populate them are treated as epiphenomena of human cognitive processes dealing with the detection of and reaction to agents under conditions of stress, anxiety, and perceived threat. Religious experience at the individual level is characterized by depersonalization, coupled with submission to a super-individual force; the same is essentially the case for participation in warfare. The capacities for both religious experience and participation in warfare are adaptations insofar as they evolve by means of natural selection operating primarily at the level of individuals who are members of groups in which both kin selection and reciprocal altruism are also operative. It is likely that the overall patterns of supernatural organization exist as the result of coevolution between the memetic content of religious beliefs and the underlying neurological matrix within which such beliefs are maintained and transmitted in the context of specific ecological subsistence patterns. War involves violent force, up to and including killing people. To participate in a war means to participate in an activity in which there is a significant probability that one will either kill other people, or will be killed by them. Here is where the capacity for religious experience is crucial. By making possible the belief that a supernatural entity knows the outcome of all actions and can influence such outcomes, that one's "self" (i.e., "soul") is not tied to one's physical body, and that if one is killed in battle, one's essential self (i.e., soul) will go to a better "place" (e.g., heaven, valhalla, etc.) the capacity for religious experience can tip the balance toward participation in warfare. By doing so, the capacity for religious belief not only makes it possible for individuals to do what they might not otherwise be motivated to do, it also tends to tip the balance toward victory on the part of the religiously devout participant. This is because success in battle, and success in war, hinges on commitment: the more committed a military force is in battle, the more likely it is to win, all other things being equal. When two groups of approximately equal strength meet in battle, it is the group in which the individuals are more committed to victory (and less inhibited by the fear of injury or death) that is more likely to prevail. To give just one example, the battle cry and motto of the clan Neil has always been "Buaidh na bas!" - "Victory or death!" Religions tell people what they most want to hear: that those agents and processes that they most fear have no ultimate power over them or pose no threat to themselves or the people they care about. In particular, by providing an intensely memorable, emotionally satisfying, and tension-releasing solution to the problem of mortality, religions make it possible for warriors to master their anxieties and do battle without emotional inhibitions. This makes them much more effective warriors, especially in the hand-to-hand combat that humans have fought throughout nearly all of our evolutionary history. Consider the characteristics that are most often cited as central to religious experience. Newberg and d'Aquili (2001) have presented an integrated model of the neurobiological underpinnings of religious experience. They have pointed out that central to most religious experience is a sensation of awe, combined with "…mildly pleasant sensations to feelings of ecstasy." (Newberg and d'Aquili, 2001, p. 89) They have shown that such sensations can be induced by rhythmic chanting and body movements, combined with loud music and colorful visual displays, all of which produce a condition of sensory overload. This process then induces a neurological condition characterized by a sense of depersonalization and ecstatic union with one's surroundings. This is precisely what happens as the result of military drill and training. It is no accident that humans preparing for war use exactly the same kinds of sensory stimuli described by Newberg and d'Aquili. They have tied such displays to religious activities, and shown the deep similarities between religious rituals and secular ones: "…patriotic rituals… emphasize the "sacredness" of a nation, or a cause, or even a flag…turn[ing] a meaningful idea into a visceral experience." (Newberg and d'Aquili, p. 90) The two types of activities - religious rituals and patriotic rituals - use the same underlying neurological pathways and chemistry. Religious experience is often equated with a state of mystical union with the supernatural. But what exactly does this mean, and in the context of this presentation, is there a connection between mystical experience and warfare? The answer is almost certainly yes. That combatants have had experiences that would be classified as mystical before, during, and after battle is a simple historical fact. The Scottish flag is based on just such an experience: the white crossed diagonal bars against a field of azure of the St. Andrew's cross is said to have appeared to King Hungus and his warriors during a battle against in the Saxons. Legend says this so encouraged the Scots and frightened their adversaries that a victory was won. A common thread in all mystical experiences is a loss of the sense of self and a union with something larger than oneself. (Newberg and d'Aquili, p. 101) Additionally, there is often a sense of submission to a higher power, in which one's personal desires and fears are subordinated to the purposes of that higher power. If that higher power were identified with the leaders of a military hierarchy, it is easy to see how such experiences could be used to increase one's loyalty and submission to that hierarchy. Wilson (2002) has proposed that the capacity for religion has evolved among humans as the result of selection at the level of groups, rather than individuals. Specifically, he argues that benefits that accrue to groups as the result of individual sacrifices can result in increased group fitness, and this can explain what is otherwise difficult to explain: religiously motivated behaviors (such as celibacy and self-sacrifice) that apparently lower individual fitness as they benefit the group. At first glance, Wilson's argument seems compelling. Consider the most horrific manifestation of religious warfare: the suicide bomber. A person who blows him or herself up in order to kill his or her opponents has lowered his or her individual fitness. Doesn't this mean that such behavior must be explainable only at the level of group selection? Not at all: the solution to this conundrum is implicit in the basic principles of population genetics. Recall that one of Darwin's requirements for evolution by natural selection was the existence of variation between the individuals in a population. (Darwin, 1859, pp. 7 - 59) Variation within populations is a universal characteristic of life, an inevitable outcome of the imperfect mechanism of genetic replication. Therefore, it follows that if the capacity for religious experience is an evolutionary adaptation, then there will be variation between individuals in the degree to which they express such a capacity. Furthermore, it is not necessarily true that when an individual sacrifices his or her life in the context of a struggle, the underlying genotype that induced that sacrifice will be eliminated by that act. Hamilton's principle of kin selection (Hamilton, 1964) has already been mentioned as one mechanism, acting at the level of individuals (or, more precisely, at the level of genotypes), by which individual self-sacrifice can result in the increase in frequency of the genotype that facilitated such sacrifice. Trivers (1971) has proposed a mechanism by which apparently altruistic acts on the part of genetically unrelated individuals may evolve by means of reciprocal altruism. Let us now consider the flip side of war: the benefits that accrue to the winners of warlike conflicts. Given the mechanisms of kin selection, one can see how warfare and the religious beliefs that facilitate it might evolve among the closely related kin groups that constitute the raiding parties characteristic of hunting/gathering and pastoral peoples. It is also possible to construct an explanation for militia warfare and professional warfare on the basis of a blend of kin selection and reciprocal altruism. However, a closer examination of the spoils of war make such explanations relatively unnecessary. Betzig (1986) performed a cross-cultural analysis of the correlation between despotism and reproductive success in 186 different cultures. Her conclusion was that "…[n]ot only are men regularly able to win conflicts of interest more polygynous, but the degree of their polygyny is predictable from the degree of bias with which the conflicts are resolved. Despotism, defined as an exercised right to murder arbitrarily and with impunity, virtually invariably coincides with the greatest degree of polygyny, and presumably, with a correspondingly high degree of differential reproduction." (Betzig, 1986, p. 88) In other words, males who most successfully use violence and murder as a means of influencing the actions of others have historically had the most offspring. In the context of warfare, this means that the winners of a battle, or even more so, of a war will pass on to their offspring whatever traits facilitated their victory, including the capacity to believe in a supernatural force that guides their destiny and protects them in battle. The effects of such capacities are not trivial; as Betzig points out, the differences between the reproductive success of the winners of violent conflicts and the losers is measured in orders of magnitude. As noted earlier, wars are bottlenecks through which only a relative few may pass, but which reward those who do with immensely increased reproductive success. Putting all of this together, it appears likely that the capacity for religious experience and the capacity for warfare have constituted a coevolutionary spiral that has intensified with the transitions from a hunting/gathering existence through subsistence agriculture to the evolution of the modern nation-state. As pointed out earlier, there is a correlation between the type of intergroup violence and the ecological context within which that violence occurs. Generally speaking, raiding/rustling is correlated with hunting/gathering and pastoralism, militia warfare with village agriculture, and professional warfare with urban society and the nation-state. There is a corresponding progression in the basic form of religious experience and practice: animism is most common among hunter-gatherers, while polytheism is more common among agriculturalists, and monotheism is most common in societies organized as nation-states. This is not to say there are no exceptions to this correlation. However, the fact that such a correlation can even be made points to the underlying ecological dynamics driving the evolution of subsistence patterns, patterns of warfare, and types of religious experience. Betzig, L. (1986). Despotism and differential reproduction: A darwinian view of history. New York: Aldine. Darwin, C. R. (1859). On the origin of species by means of natural selection, or the preservation of favoured races in the struggle for life. London: Murray. Hamilton, W. D. (1964). The genetical theory of social behavior. Journal of theoretical biology, 12(1), 1-52. Newberg, A. B. and d'Aquili, E. G. (2001). Why god won't go away: Brain science and the biology of belief. New York: Ballantine. Trivers, R. L. (1971). The evolution of reciprocal altruism. Quarterly review of biology, 46(4), 35-57. Wilson, D. S. (2002). Darwin's cathedral: evolution, religion, and the nature of society. Chicago: University of Chicago Press. Wilson, E. O. (1975). Sociobiology: The new synthesis. Cambridge, MA: Belknap. "Here is where the capacity for religious experience is crucial. By making possible the belief that a supernatural entity knows the outcome of all actions and can influence such outcomes, that one's "self" (i.e., "soul") is not tied to one's physical body, and that if one is killed in battle, one's essential self (i.e., soul) will go to a better "place" (e.g., heaven, valhalla, etc.) the capacity for religious experience can tip the balance toward participation in warfare. By doing so, the capacity for religious belief not only makes it possible for individuals to do what they might not otherwise be motivated to do, it also tends to tip the balance toward victory on the part of the religiously devout participant. This is because success in battle, and success in war, hinges on commitment: the more committed a military force is in battle, the more likely it is to win, all other things being equal. When two groups of approximately equal strength meet in battle, it is the group in which the individuals are more committed to victory (and less inhibited by the fear of injury or death) that is more likely to prevail." While I agree with you that those who expect an afterlife might be more inclined to wage war, if a war does ensue it seems to me that those who do not believe in an afterlife would have the highest commitment to victory. After all if a person thinks that this life is all there is, wouldn't they have the maximal commmitment to do whatever is necessary to survive the war? They would endure anything and fight ferociously to their last ounce of breath to stay alive. On the otherhand those who believed they would go to a "better place" might be more inclined to give up sooner. After all if a person thinks that this life is all there is, wouldn't they have the maximal commmitment to do whatever is necessary to survive the war? On the surface, I think you're right. However, "whatever is necessary to survive" covers a lot of ground. To survive, one might slaugher the enemy; hide in a cellar until the war blows over; run away to another country; defect to the stronger side; and so forth. I see no evolutionary reason to suspect that an atheist would make a better soldier. To survive, one might slaugher the enemy; hide in a cellar until the war blows over; run away to another country; defect to the stronger side; and so forth. My point of contention with Allen's argument was when there is a battle where he claimed the religious believers would be more commmited. If individuals or groups hid, ran away, or defected then there would be no battle. If there is no battle then there would be a lot of other factors involved in a selection criterion. I see no evolutionary reason to suspect that an atheist would make a better soldier. From Allen's argument they wouldn't. In fact, what that argument would imply is that atheists would be more likely to be unprincipaled cowards, unwilling to put their lives on the line even for some good cause. I don't think history would bear that out. protection and defence of ones family. BTW, war and peace are not opposites. There is an alternative. I am hesitant to question someone whose family motto is conquer or die. My own family motto is conquer or hide. I'm a psychologist and spent 6 years in the military, in the special forces (motto: if its a fair fight, run). This arguments strikes me as quite false. Religion and combat are orthogonal. I wonder if Allen has been in the military. We fight because of links with our immediate comrades. I found a high level of non-belief in the military. And frankly, the non-believers are more likely to reproduce. I wanted to wait for a nice church wedding; they were ready NOW! One colleague says I cannot use my own experience, but to me, that is special pleading. "We are different now," we claim. I don't think so. At 17, I was much like the youth who fought with armies throughout the ages. Now the trouble with MacNeil's argument is I cannot quite see how to falsify it, except by appeal to personal experience. In combat, there is a kind of fatalism unconnected with religious feelings. Death comes randomly, to believer and non-believer alike. So how would you know if your argument were false? What evidence would invalidate it? If there is none, haven't you just produced a psychological string theory, interesting but ultimately barren of content? I did think of one way to falsify the argument. Chimps seem to wage a kind of war, and don't seem to have any religion. Hum? The notion that a belief in an afterlife leads one to wage war more effectively could be also tested by contemporary history, unless you have some Julian Jaynes notion that we are now different. The communist system started and participated in a whole boatload of wars, Russia 1914, WWII, Viet Nam, Cuba, Bolivia (Che was an murderous idiot), Nigaragua, Cambodia, China, Korea . . . and they were pretty darn good fighters. So the notion that religion helps is certainly not supported by current history! Atheists have been phenomenal killers of the last century. This is the problem with only being able to post snippets of an argument; some of the essentials get lost. The argument I have made for warfare being the Evolutionary Environment of Adaptation (EEA) for the capacity for religious experience goes much further back into our evolutionary past than the kind of warfare you are describing. As I point out in the full version of my paper/chapter, to qualify as a genuine evolutionary adaptation (i.e. embedded in the neurochemistry of the human brain/mind), the capacity for religious experience almost certainly goes back to our long prehistory in the Pleistocene. As recent archaeological research by Keeley, Kelly, and LeBlanc has shown, warfare goes much further back into our evolutionary past than was formerly supposed - perhaps as long as 100,000 years, and certainly before the invention of agriculture 40,000 years ago. Indeed, agriculture seems to have jump-started organized warfare, as it provides the kind of concentrated, defensible/stealable resource base that makes war profitable. The kind of warfare that I believe provided the context for the evolution of the human capacity for religious experience is the kind of tribal "hit and run/raiding" that characterized our hunting/gathering ancestors (and still characterizes our closest relatives, the chimpanzees). For many tens of thousands of years, our ancestors lived in circumstances in which occasional, upredictable, but fairly chronic warfare provided perhaps the most significant differential in survival and reproduction. That is, the survivors (and especially the winners) of that kind of fitfull, but periodic (and therefore chronic) warfare would have had an edge if they could overcome their innate fears and fought with less restraint and more confidence. This is the context in which the capacity to believe that one's "essence" is immortal, one's tribe is the "chosen people", and that "a higher power" controls the destinies of winners and losers in one's favor can tip the balance. There are a whole lot more, but I think you can get the picture from these. Digging deeper, there is a concept in cognitive anthropology called "agency"; that is, "agents" are intelligent entities that can plan, carry out plans, and (in particular) have potentially nefarious designs on others. According to Pascal Boyer (author of Religion Explained: The Evolutionary Origins of Religious Thought), natural selection has resulted in humans having an "agency detector" in our minds, which makes it possible for us to detect and accurately infer "agency" (especially nefarious agency) in other humans. However, he doesn't explicitly point out that the context in which such a detector would be most valuable would be warfare. That's my job: I believe that the "agency detector" in humans is quite literally the "god detector", in the sense that it is "tuned" by natural selection to find purpose in complex phenomena, espeically those related to potential warfare. This "warfare agency detector" is tuned very high, and hence produces "false positives" in the form of war gods and demons, which we then use to explain and justify our participation in warfare, especially agressive warfare against others. Clearly, wars are ultimately planned, fought, and won or lost for economic reasons. However, pure economics alone can't persuade a combatant to risk his life in a battle. Believing that one is protected by an all-powerful deity can do that. "Chimpanzees fight wars, but they don't have religions..."
True...or maybe true; I haven't been able to ask a chimp about his religious beliefs. And that would be beside the point. I'm not arguing that religions are required for war. Just the opposite, in fact: that warfare provides the context within which the capacity for religious experience is most likely to evolve. And, once it has, this capacity can facilitate warfare, producing what is commonly known in evolutionary theory as a "coevolutionary spiral." That is, "warfare facilitates relgion, which facilitates warfare." And as to the question about the wars of the 20th century, clearly they are so recent as to have had virtually no significant effect on the evolution of the human nervous system, and therefore are essentially irrelevent to my argument. 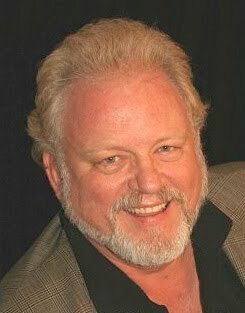 Lynn J. said: "Atheists have been phenomenal killers of the last century." I don't know Allen's view on this, but I think this comment reveals a different concept of "capacity for religious experience" than the one in the currently discussed theory. Wars have seemingly been driven and rationalized by various ideological perspectives including religious crusades and Communist and fascist ideologies. Some of these are generally not "religions" in the sense of having anything much to do with deity, but they are all transcendent and totalist ways of thinking and ways of motivating and justifying social cohesion, including in the service of warfare. I think if we called it a "capacity for transcedent totalist social reasoning" rather than a "capacity for religion" it would help us match up with modern worldviews and definitions better. Lynn J. correctly points out, I think, that the term religion has all sorts of connotations that are not neccessarily intended by Allen's "capacity for religion," and conversely, Allen's "capacity for religion" has implications that are not limited to what we formally call religions. There is a very broad area of overlap, but religion and Allen's "capacity for religion" are not the same thing. That was what Lynn's comment brought to mind. If the Crusades, Inquisitions. Jacobin atrocities, and Communist atrocities could be said to have anything in common it would neither be religion as we now think of it nor atheism as we now think of it. The commonality hypothetically might still have something to do with whatever adaptation the "capacity for religion" might represent in terms of facilitating human social cohesion under particular circumstances. My two cents to the thread.. I do believe that only humans have the capacity for religious experience. If survival of the fittest were true, then there is no need for love and compassion as we see it in the human species. Humans have evolved to a place of higher thought where we try to find answers to questions like, is there a life beyond death? Religious experience helps us make that choice. If a animal or bird were born with "defects" that makes it unfit to survive the harsh environment, it dies and has no chance to propagate its own kind. However in the human species, we show love and compassion to such "genetic or environmental defects" by helping them cope with such imperfections and they are allowed to propagate. It is done in the name of Love and Love for mankind. Humans have the capacity to destroy each other and self as well as build each other and self. We see it in different lower life forms. Ants live in colonies where each type of ant has a different function within the colony. Humans are the only ones who believe in the fight between good and evil. The general notion is that good always wins over evil. The ultimate religious experience is also that good will win over evil eventually. Whether it is by sacrifice of self or through love of self and others we will propagate ourselves until the last man and woman standing. Humans will make every effort to keep them standing in this fight for survival of species. The question is can earth survive if scientists are to believed about the future of the solar system or would we have adapted to continue our line of existence on some far away planet that is as conducive to survival as earth? Each generation of humans will attempt to find this solution. No wonder history repeats itself in this world we live in.